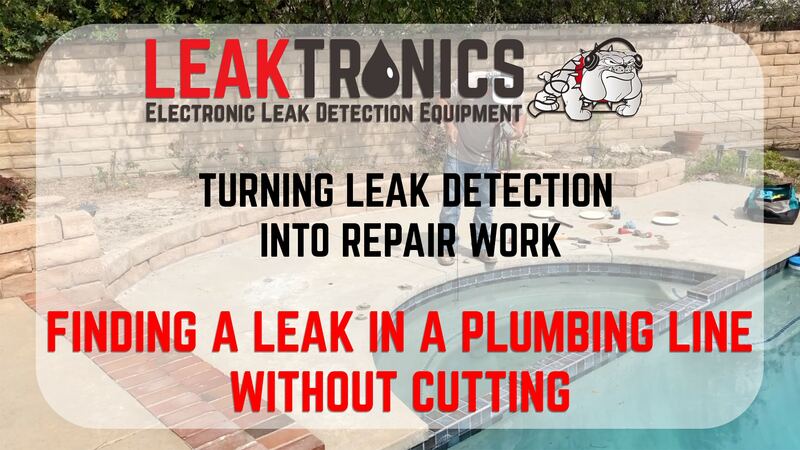 In this episode of Turning Leak Detections into Repair Work, we’re at a vinyl liner pool in Simi Valley, CA. We begin in the video walking the pool, checking all equipment and looking for anything out of the ordinary. Then we listen in the pool using our Pool Scope. After checking the pools environment, the first tool you always go-to is the Pool Scope. With its Uni-Directional listening power, identifying the sound of a leak in any pool is easier because of the power and sensitivity of its unique and patented technology and design. We don’t stop there. We drop and drag over the main drain and listen through the rest of the pool. 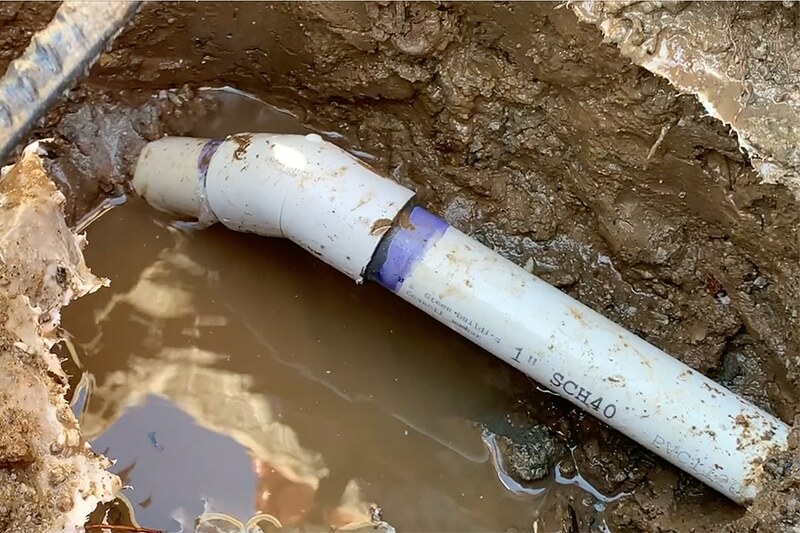 Next, in the video, we scan the liner of the pool using LeakTronics VILO Kit, checking for grounds showing in the pool liner by distributing a square voltage through the pool water with the VILO Transmitter. The design of the VILO equipment allows the user to scan the the floor while avoiding potential false positives that show themselves from vertical surfaces in the pool. The VILO’s floor probe faces the floor, scanning for positive ground noise and not false positives that might come from ladders, step tracks or skimmer screws. Then we use the wall probe to scan vertical surfaces. Ultimately, we found the single, yet prominent leak behind the light. 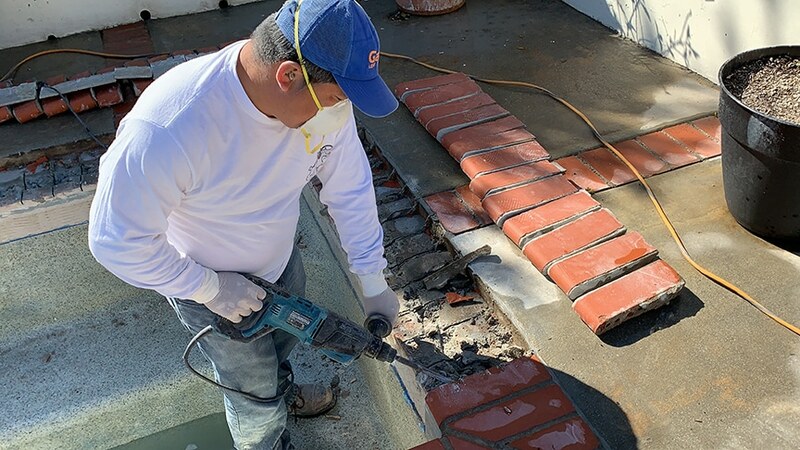 We bid the repair and did the work on the spot. Another successful leak detection turned into a paid repair job. You can learn how to perform professional leak detections through our online training program. The complete package includes equipment and the support of LeakTronics to help you through any questions during training, or on the job. Just call and we’ve got your back.